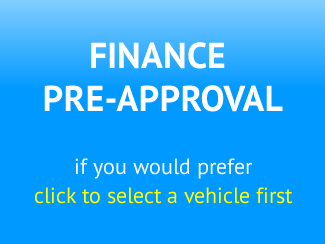 Please complete the following application form to apply for finance through Devonport Car Company. I/we authorise Devonport Car Company to collect from credit reporting agencies, credit providers, my/our employer(s), accountant(s), relatives, or other person(s) such personal, financial and commercial information about me/us for the said purposes. I/we acknowledge that if i/we do not provide all or any part of the information requested on this application form, my/our application for finance may be declined. I/we further acknowledge that pursant to the Privacy Act 1993, I/we have a right of access to information collected by Devonport Car Company about me/us and to request that this information be corrected. The information will be held at the office of Devonport Car Company, 154 Lake Road, Devonport, Auckland or the registered offices of any party nominated by Devonport Car Company. NZ owned Janssen Holdings Ltd has been our mechanical warranty provider for the last 18 months and offers affordable additional long term mechanical /electrical protection on the vehicle you have purchased from us. Other warranty companies have very high excesses in the event of a claim but Janssen’s options are $100 or $250. From our experience they pay claims with few or no questions . Servicing is required every 15000 km you can choose your own mechanic for this but in the event of a claim they may recommend a Janssen authorised mechanic in your area who will repair the car to their high standards. Like all insurances there are exclusions but the Cover plus policy covers most of the expensive repairs modern cars bring. A three year warranty for most Japanese cars is $1095 or $1395 for European vehicles with a $250 excess. Shorter terms are available but three year policy’s offer the best value.